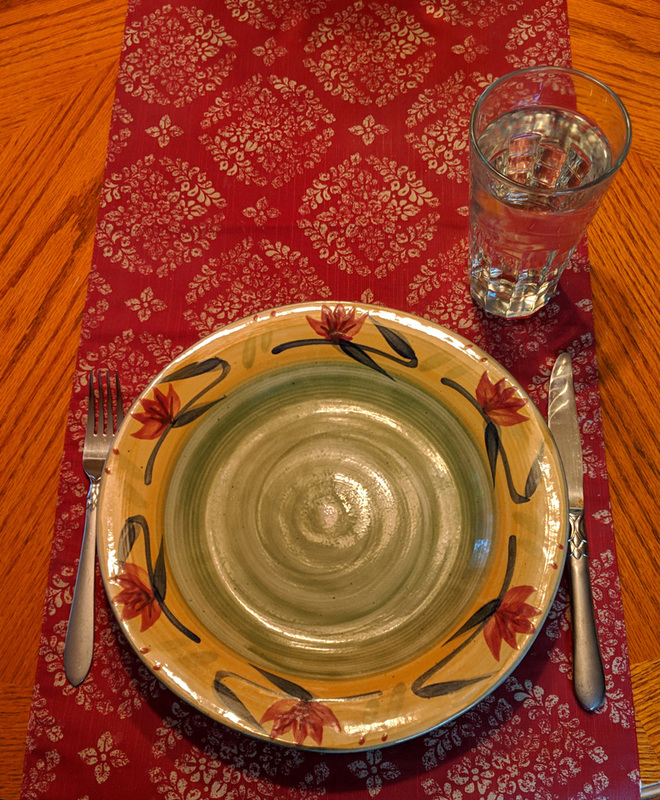 Before doing a 48-hour fast, I had already incorporated intermittent fasting into my routine, which I had been doing for about 5-6 months prior. I had also done a few 24-hour fasts during that time as well to see how my body would respond both physically and mentally. These fasting routines allowed me to get used to managing food urges that occur during fasting. It also helped me understand my body’s signals during a fast and whether I could handle a longer period of fasting without any side effects. I certainly wouldn’t recommend embarking on a 48-hour fast if you have not attempted at least few 24-hour fasting periods prior. Another factor to consider before attempting a 48-hour fast is your current diet. Over the 12-18 months prior to my 2-day fast, I had significantly reduced my carbohydrate intake and nearly eliminated refined sugars. Taking these actions helped me to get my appetite under control. Prior to take these actions, I would find myself going through substantial hunger and mood swings. I would also find myself going on binge eating where my hunger pains would become so great that I would go into over-consumption mode. I definitely would not have attempted to do a 48-hour fast without these diet adjustments. One other item of note is that I do not take any regular medications. If I did, I would have been a lot more cautious and would have sought out medical advice before engaging in a fasting period of any duration. For starters, let’s make it clear that was a water (liquid) fast, meaning I only avoided consuming foods. I still consumed water, tea (of the green variety for me), and coffee (one cup per day). Water is the most important during a fasting period. It is extremely important to stay hydrated while fasting. I had one or two cups of green tea during the fast, primarily for appetite suppression purposes. I also had one cup of coffee each morning during the fast. Going without food would be enough of a challenge. I didn’t want to throw in dealing with the effects of caffeine withdrawal as well. The one substance I definitely avoided during the fast was alcohol, meaning no beer, whine, whiskey, or other spirits. Part of the purpose of the fast was to cleanse the body, and drinking would have inhibited the process. I started the fast on a Monday evening after dinner. On Tuesday, I did my normal routine which involved a cardio workout to start the day. Since I had already done 24-hour fasts, not eating on Tuesday was pretty easy. It wasn’t until Tuesday evening that things started to get a little weird. First of all, not eating dinner with the family was strange. I’ve become so accustomed to the social ritual of eating in the evening that it felt strange not partaking of a meal with the family. After getting over that, the rest of the evening went reasonably well. The next challenge occurred during the middle of the night. I awoke around 2:30AM with strange feelings in my stomach. I would describe them more as cramps than hunger pains. At the same time, all I could think about were the blueberries and plain yogurt that it was in the refrigerator. It took a consider amount of willpower to avoid heading downstairs to fix myself a bowl. After 15-20 minutes of debate with myself, I slept fine for the rest of the night. Wednesday went well, except it went by slow, especially during the afternoon. I would go throw bouts of thinking about how long it was until dinner. There were also strange moments in time where it felt like I was chewing on food when I clearly wasn’t. The mental and physical images our brain creates can be very powerful. Unfortunately, what didn’t occur during the second day was a period of intense focus, an awakening, an out-of-body experience, or natural high, that people report feeling while fasting. I suppose everyone’s body reacts differently. To break the fast Wednesday evening, I had a small handful of almonds around 45 minutes prior to my dinner. My research suggested having a small amount of food prior to eating a substantial meal to get your digesting system operating again. Eating a meal again was a normal event. I didn’t find it to be a supernatural, amazing, or celebratory experience. First of all, it pays to read up and do research before fasting. In addition to the physical preparation, the mental preparation is just as important, if not more so. Knowing what to expect ahead of time made things much easier to deal with during the fast. Fasting also takes discipline. It’s not easy, and it’s not something I’d recommend to someone who is not already familiar with intermittent or 1-day fasting periods. You need to expect that you will experience periods of hunger. At those times, it takes discipline to know the feeling will pass, and that you will be fine without raiding your pantry. The most surprising thing I learned was the strange relationship we’ve developed with food. We should view food as something we need when in need of nourishment. During my fast, it became apparent that food is something we eat as part of a habit. For example, I frequently will snack on nuts in the afternoon. During those times, my brain would play tricks on me where it felt as though I was eating nuts when I clearly wasn’t. The habits were that strong. In addition, food is a strong part of our social bonds. When we see others eating, especially during meal times, we have a natural desire to want to join them. It is a powerful force and one that is difficult to resist during the fasting period. One other interesting side note is that I lost ~3 pounds during the fast. I didn’t fast with a goal of losing weight, but it was interesting to see how much I lost during the 2-day period. Having gone through the experience, I would definitely do it again. Even though I didn’t have the out-of-body experience that some claim to have, I still felt the process was valuable. In fact, it was the day after I broke the fast that I felt the best. I had more energy and better focus. It may have been due to the sense of accomplishment, although I’d like to believe it also had something to do with my body just plain feeling better. My goal is to incorporate fasting periods into my regular diet routine. I’d like to do one or two 24-hour fasts each month, and do a 48-hour fast three or four times per year. I’m confident I could do a 24-hour fast at any point in time, while I will need to do a bit more preparation and planning for the 48-hour version. One adjustment that I would like to make for the 48-hour fasts is to stick strictly to water, eliminating both green tea and coffee during the period. It’ll be a challenge getting to that point, but one that I am up for. Overall, I’ve come to believe that fasting is an important piece to our overall health. The concept of fasting is a part of so many cultures and religions that it is hard to discount its significance, even without the recent scientific evidence backing it up. I’d also see it as important factor in changing the relationship I have with food. I want food to be something that I eat out of nourishment, not out of habit or routine. Doing so will allow me to gain even more control over and better understand my body’s signals and what they are telling me. And that can only be a good thing when it comes to my overall health.